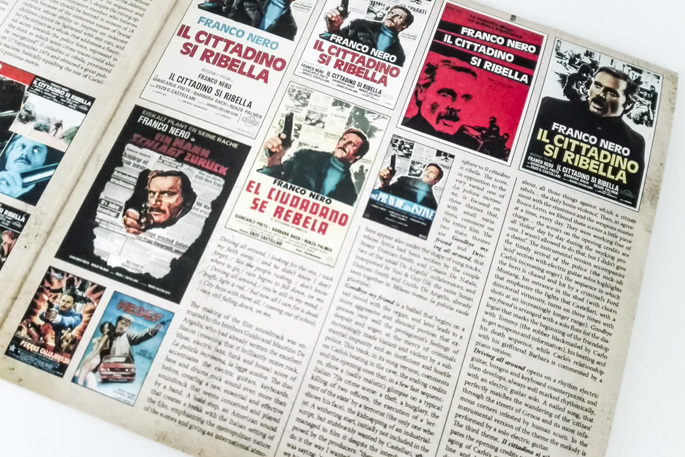 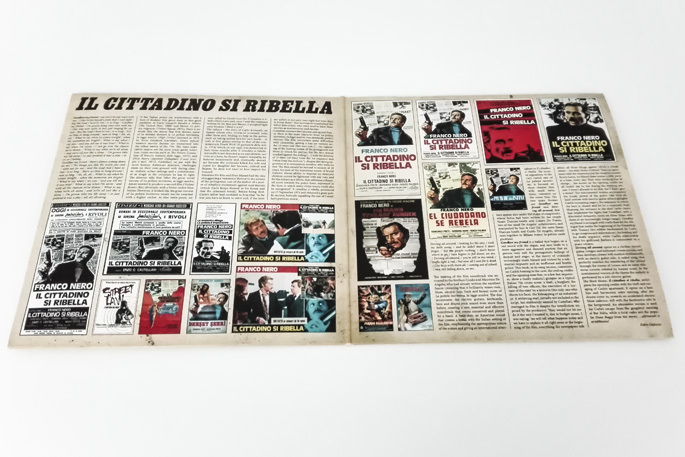 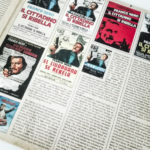 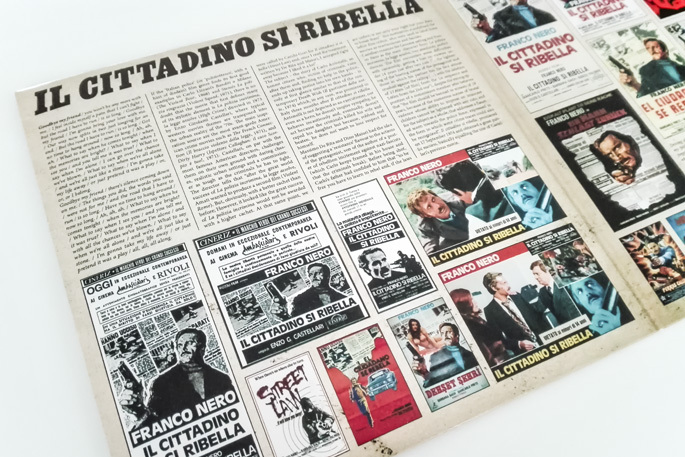 In 1974, when the movie “Il cittadino si ribella” was released in theaters, the so-called ‘poliziottesco’ genre was at its peak, and this film rightfully belongs to the most successful works of the aforementioned kind. 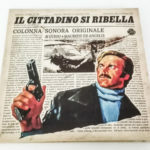 Enzo Castellari, as in his previous “La polizia incrimina, la legge assolve”, sets the stage in Genoa and confirms Franco Nero as the main character, this time in the shoes of a simple individual who, finding no help from the police, decides to take justice into his own. 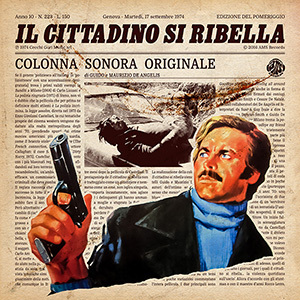 Even the soundtrack authors remain the same: Guido and Maurizio De Angelis, expert composers of various film genres music, here absolve the task of translating a mostly raw and brutal film into music, in which dominates a violence that leaves no room to feelings such as pity or compassion; the same violence divided critics and audience: the first used to write very bad reviews for such films, while the second fulfilled the cinema halls. 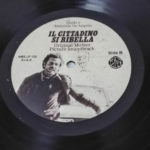 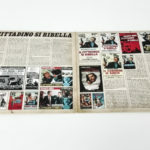 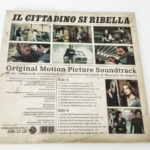 The scores of “Il cittadino si ribella” are built on three main themes: the title track, outlined by the bass melody and solos of harmonica, the rushing and rock-ish “Goodbye my friend”, presented in nine different versions, and the more relaxing “Drivin’ all around”. 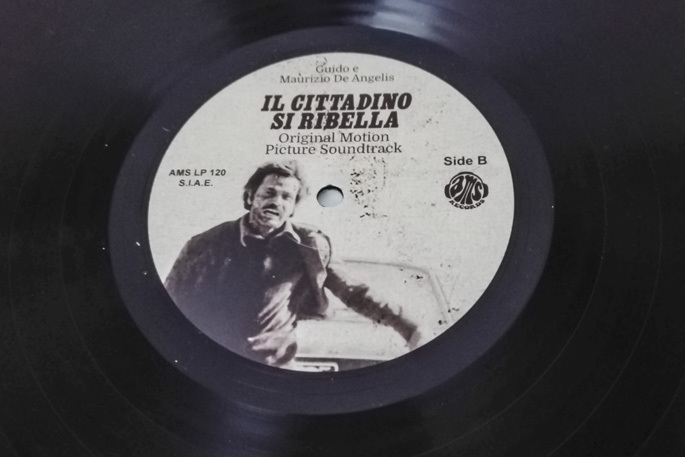 Tension and groove naturally alternate to more reflective and mellow moments. 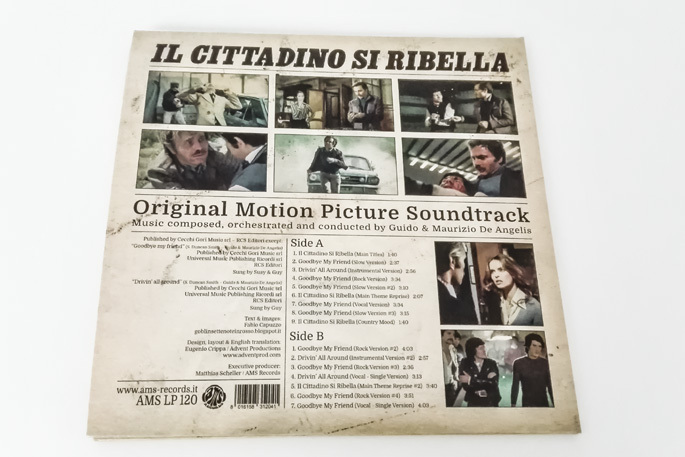 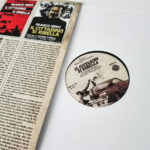 Despite the success of the film and the excellent De Angelis brothers’ work, 1974 only saw the release of a 45rpm containing the ‘vocal versions’ of “Goodbye my friend” and “Drivin’ all around”; only in 2007 all the unreleased material it has been made available, the same included in this AMS Records release, the first ever being pressed on vinyl doing justice to the beautiful music composed over 40 years ago. 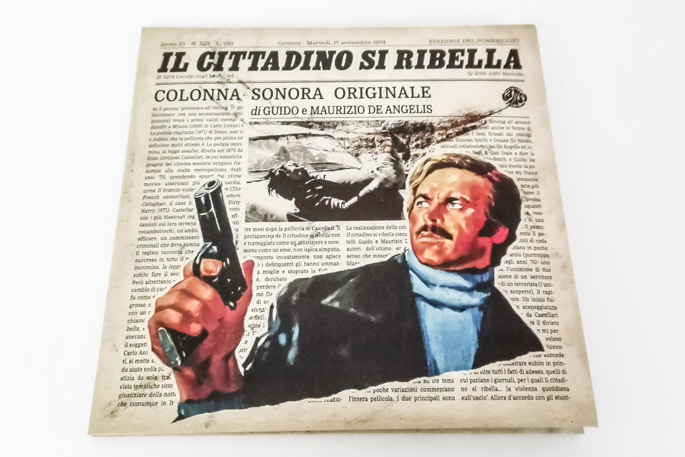 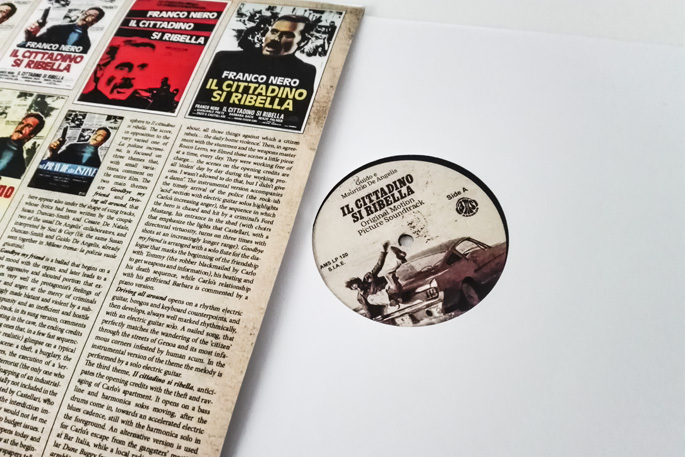 A new artwork, long liner notes, a gatefold cover and a collection of original flyers and lobby cards reproductions complete the picture of a must-have reissue for fans of soundtracks and the Italian genre cinema!